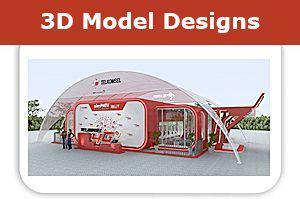 Get the best value from your investment in 3D rendering modeling design, graphic print design products for your Washington DC business by looking to Capital Exhibits. We service the entire DC area, from Georgetown to Rockville, Alexandria to Silver Spring. Most of our 3D designs and graphic design services are done locally near DC, so your items will be made to order and will be shipped out sooner than other graphic design firms can. 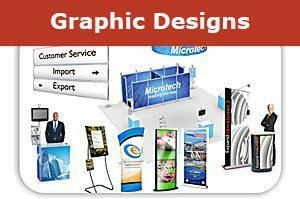 We also provide large format printing services of all types. We have over 3 decades of experience, so let us show you what we can do for your company. Our expert team of 3D rendering modeling designers know that innovative graphic design works best when it translates to the final product. Your branding ideas will become a reality when you choose from products like metal, stone, glass, gator board or rigid substrates like styrene, Sintra or Komatex for our foam board printing services. With durable materials like these, you will spend less time and money reordering 3D designs, graphic design services or display products over time. Sintra is perfect for outdoor displays because it is waterproof, wind resistant and doesn’t fade from sunlight exposure. The material will maintain its design longer than a regular plastic or foam item would. Ask about our large format printing services. Komatex displays are ideal for permanent exhibits, indoors or outside, because it is resistant to corrosion and moisture and has a low flammability rating, keeping your place of business safe. Komatex also absorbs some level of sound, making it perfect for creating a more comfortable atmosphere for talking to customers at tradeshows and exhibitions. Our motto is “we build your best image” and we’ve been doing just that for each of our customers since 1994. We live out our motto by offering professional graphic design services that will update your brand and build awareness for your company through custom-designed products. We are known for our personal care and quick turnaround on orders, and we can offer that same level of care to you and your business. We have items to fit every budget, and we work hard to offer you the best value in DC! To get pricing information go tohttps://www.capitalexhibits.com/request2.html to request a quote. If you have a few questions, need help deciding which products to order or are ready to purchase, call (866) 730.3746. If you’re on the go or don’t have time to talk, then send us an email at [email protected]. Let’s start building your best image today!